Comic Con tends to bring out the superhero-zombie-villain-alien-obsessed, but it also brings out pretty, young starlets who skip the costumes and get into the spirit with awesome nail art. Case in point: Hailee Steinfeld. While we were searching for an image to go with the beautiful hair how-to from her recent event at Comic Con, we almost fell out of our chairs when we spotted her comic book-inspired manicure. First off, while we're over here obsessing over Rihanna and Lady Gaga's kitty cat claws, we didn't realize how cool a longer, square nail looks, too! 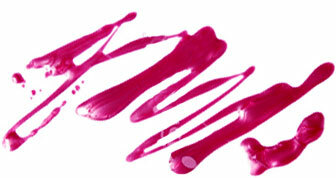 But enough of the shape, are you dying over this nail art or what? From the eyeball to the intricate zig zags and spots, Hailee really nailed it. 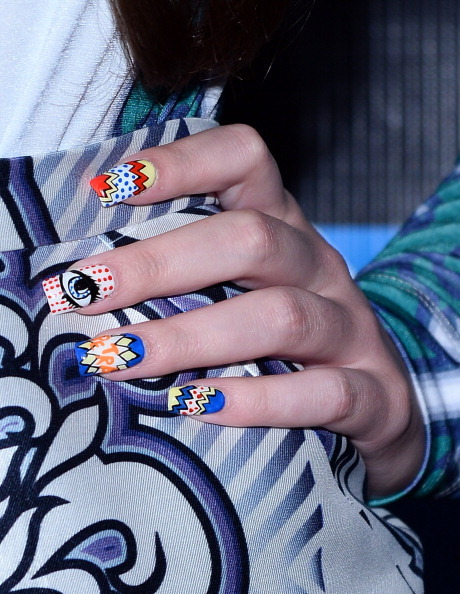 What do you think of Hailee's Comic Con mani?